This year is all about doing the unexpected. Taking chances. Taking the plunge, if you will. And that’s exactly what I did on February 5. 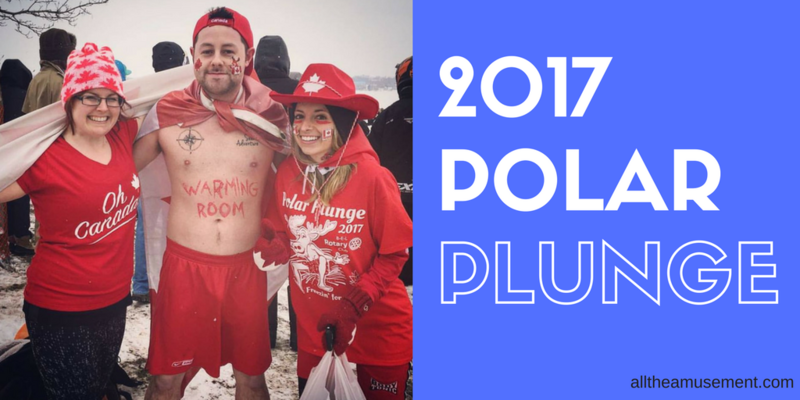 I literally took the plunge and jumped into Chemong Lake to help raise money and awareness for The Warming Room. When I first started to compile my 30 For 30 list, I did a call out for suggestions on Facebook. One of the first ones to come in was from from a friend who was taking part in the BEL Rotary Polar Plunge for her third year. She was jumping with her son and they were raising money for Kawartha Food Share. But after I let the idea sit for a while, I realized that this was the perfect type of 30 For 30 list item I was looking for. This was something I’ve never done before. It was also something I never thought I would do. Really, it was something that I never even wanted to do. But it was the perfect opportunity to support The Warming Room. 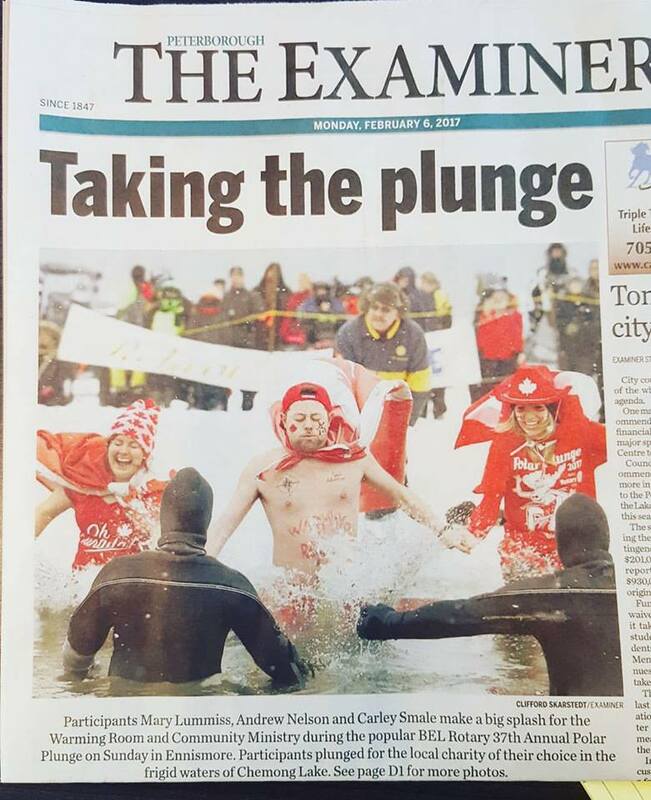 What better way to raise awareness for a winter overnight shelter than jumping into freezing cold water through a hole chiseled in the ice? I signed up with just 3 weeks to go before the event. The minimum goal for jumpers to participant is $200, so I buckled down to spreading the word about what I was doing and hoped that I would be able to raise enough. Not only did I make the minimum, but with the generous donations of friends, family, and even strangers, I raised $390! Also in that three weeks, I was joined by two friends that were crazy enough to take the plunge and create the Hot For Warming Room team! Altogether, we raised $640! The camaraderie among participants, event organizers, and spectators is amazing. The fact that you can choose a charitable organization that is close to your heart is amazing. The shear insanity of it all is amazing. Not only did I get to check something off of my 30 For 30 list, I also achieved something on the lifetime bucket list: I made front page news. A big THANK YOU to Andrew and Carley for joining me in taking the plunge. It definitely would not have been the same without them! Who knows, maybe I’ll be back at it again next year!